Organizational Virtual Datacenter: as the logical companion to the Provider vDC, which organizes resources, the Organizational vDC provides a logical boundary for the isolation of tenants. 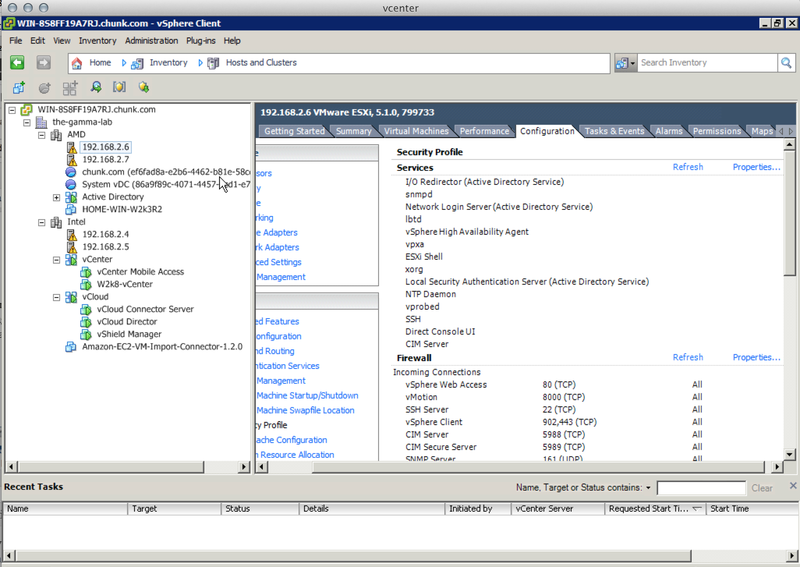 It provides interesting constructs like catalogues of Virtual Machines (services), that can both be organization public, or widely available throughout the service (exposed to multiple tenants), and also allows for restrictions on the way tenants (the organizations) can consume resources that are provided by the Provider vDC. The first step is straightforward. 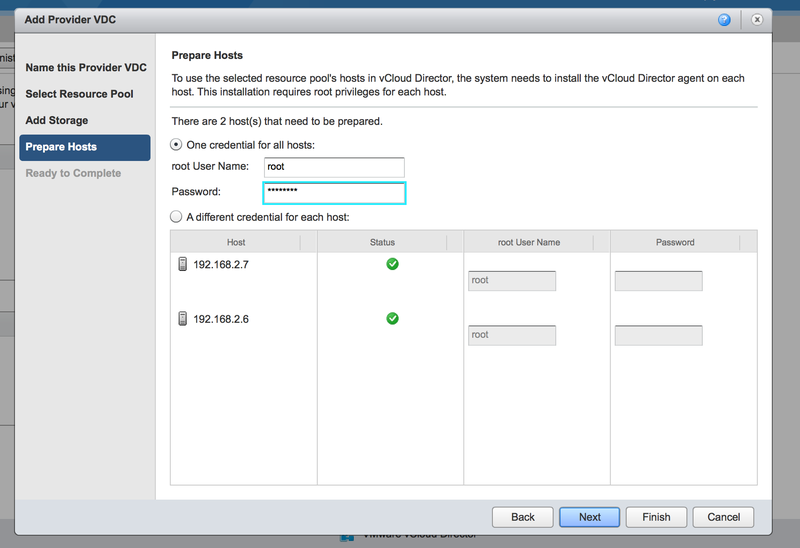 Name the Provider vDC, set its maximum supported hardware version (hardware version 7 allows the usage of both ESX 5.x and ESX 4.x) and provide a description if desired. 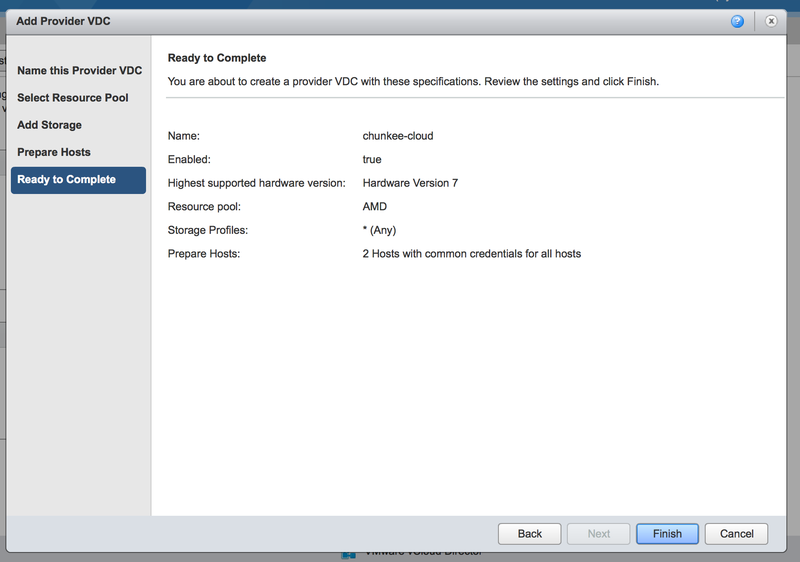 There is also an option here to keep the Provider vDC disabled after creation. Of course in this case it would need to be enabled before the resources could be utilized in an Organizational vDC. 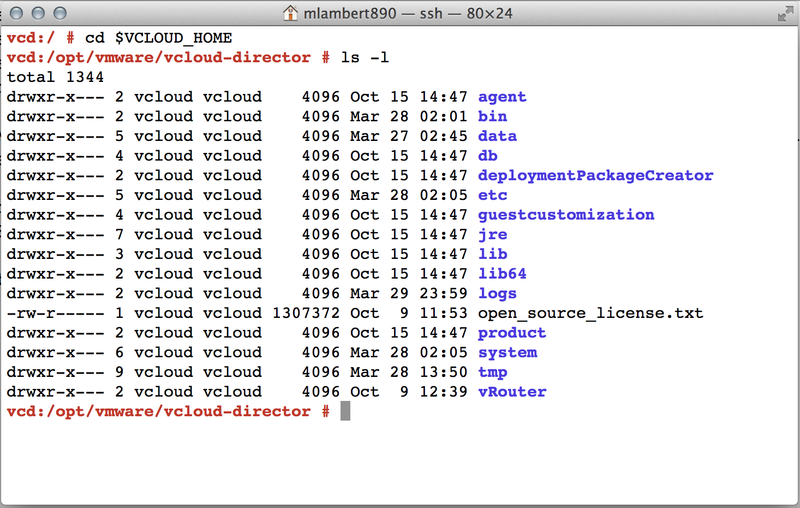 The next step after setting up the basics is to assign some actual resources to the vDC. 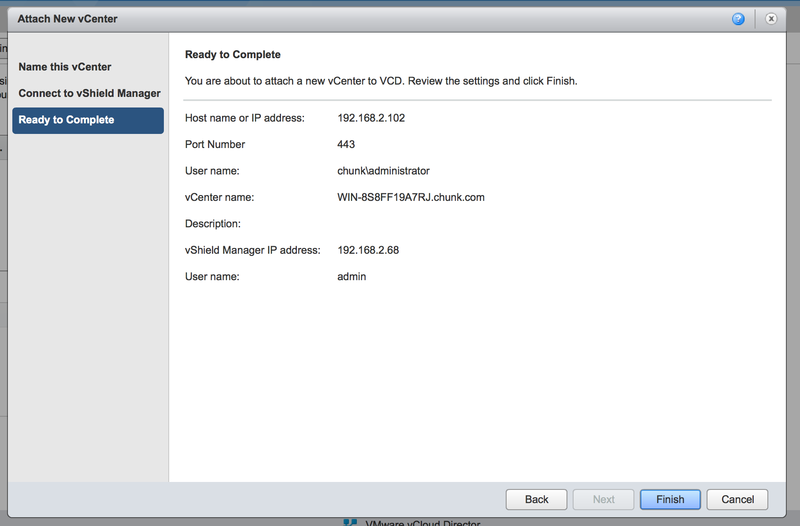 Any vCenters attached to the vCloud will show as available in the vCenter panel. Their respective resource pools will be made available for assignment in the Resource Pool panel. In additional, external networks assigned to the available resource pools will be made available for assignment in the lower panel. In my case I have not defined any external networks, so there is nothing to assign. 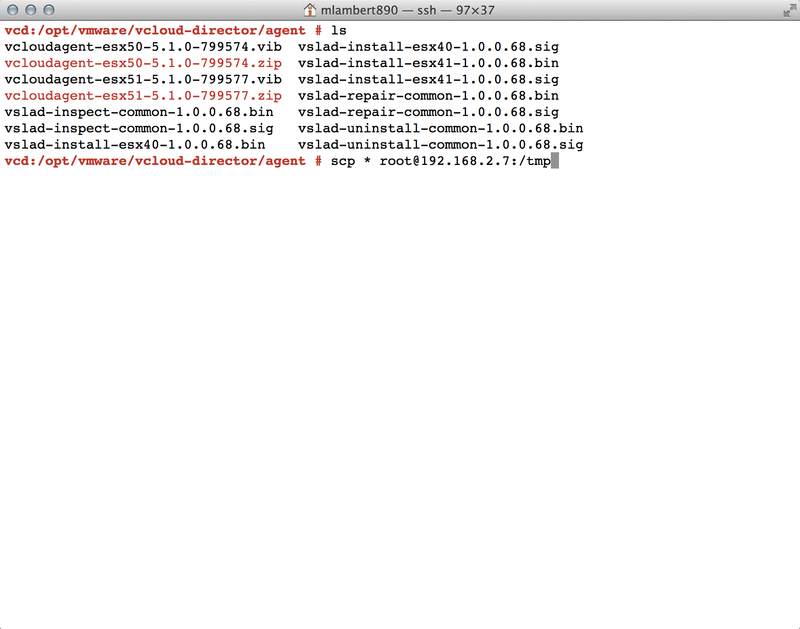 This can of course be updated later by modifying the Provider vDC in this same console UI. As with compute and network,the next step is to assign storage. 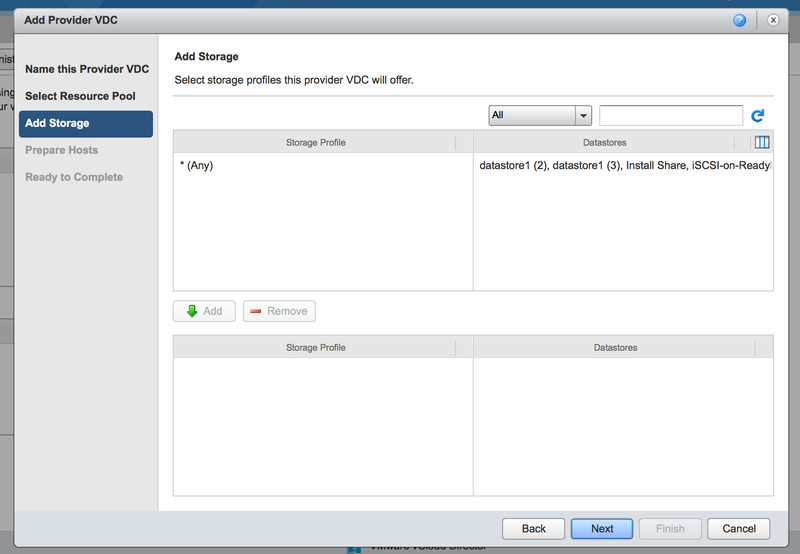 Available storage profiles and datastores will be shown as available for assignment in their respective panels. 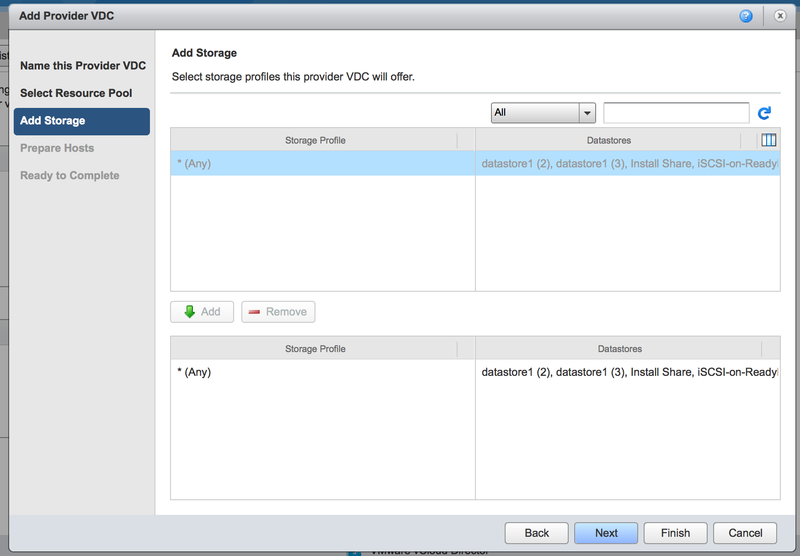 In my case I have allocated an entire cluster, and all of it’s storage resources, to vCD. In a real deployment there would certainly be multiple storage profiles, which would likely map to storage tiers, available for selective assignment here. Some possible scenarios are “platinum storage”, with high IO capability, being assigned to a “Premium Provider vDC” with, perhaps, “bronze storage”, with low IO capability, being reserved for assignment to a “Commodity Provider vDC”. in repairing this manually, I learned that the hosts should be in maintenance mode during the preparation. It’s a little bit counterintuitive at first because the UI will show them as “unavailable” if they are in maintenance mode (which makes sense because they are technically unavailable to vCD), but VIBs can’t be installed to a host that isn’t in maintenance mode. 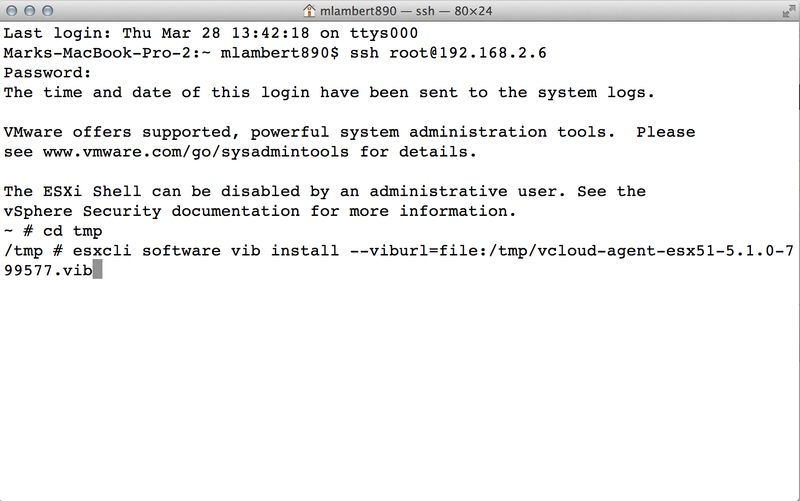 I didn’t realize a VIB install was actually part of this preparation phase, so hadn’t caught this at first. 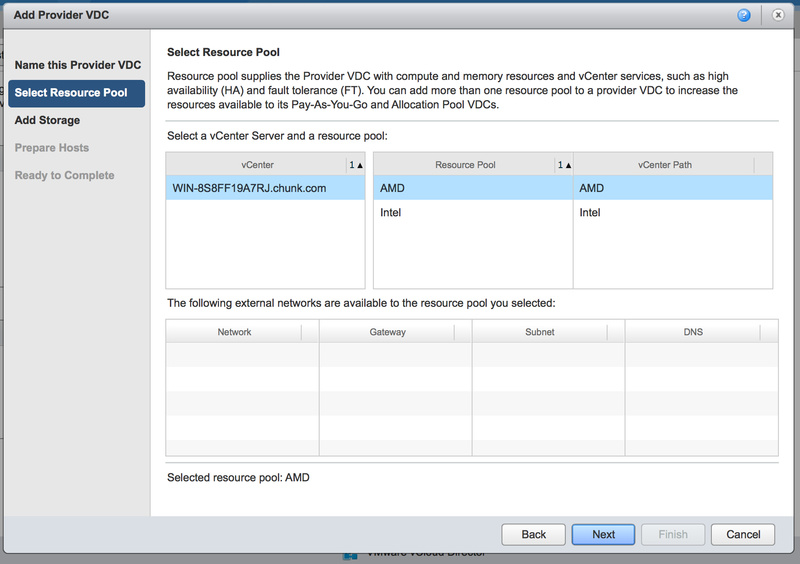 Lost my original screen cap, so borrowed this shot of the same problem from a VMWare communities user. Server names changed to protect the innocent! data: this is the default path for certain vCD middleware data structures including the temporary storage directory for data inbound and outbound to/from vCD (./transfer) and the JMS application message broker (./activemq). 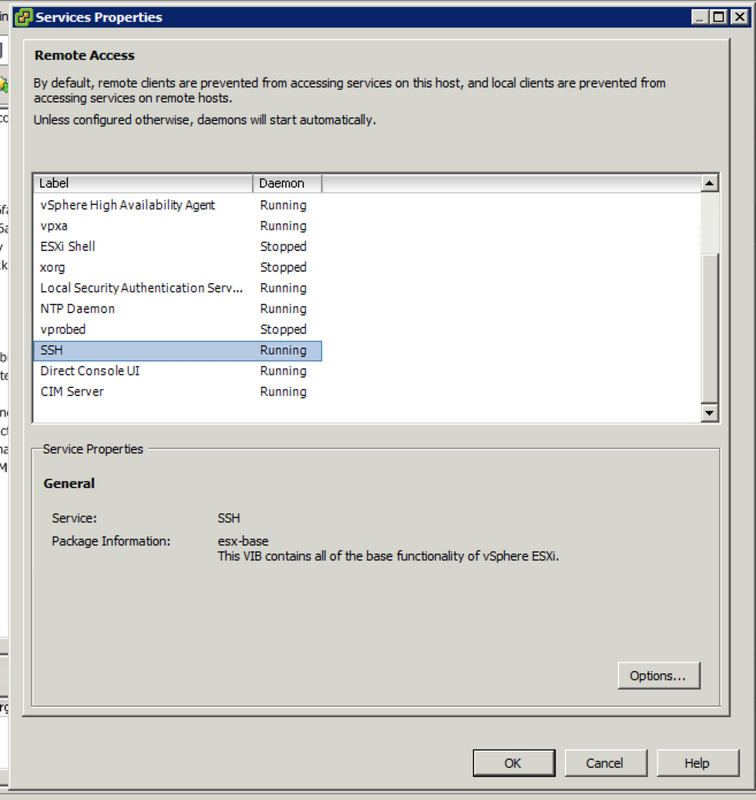 These are some of the core vCD config items including IP addresses, SSL passwords, and database connection configuration. I also learned that changing IP addresses for vCD is sort of a challenge with the OVA when using the internal database. It is pretty easy to change the network config up in the UI (which strangely just changes the interface configs), and then dive into this properties file and change it here as well so the portal knows how to find itself (which oddly doesn’t seem to flow through from a top level re-address event in the UI), but the database also needs internal changes. To do this you need to know have the database admin credentials. This is super easy if you are using a database you control, but I was never able to connect to the internal Oracle database at all. 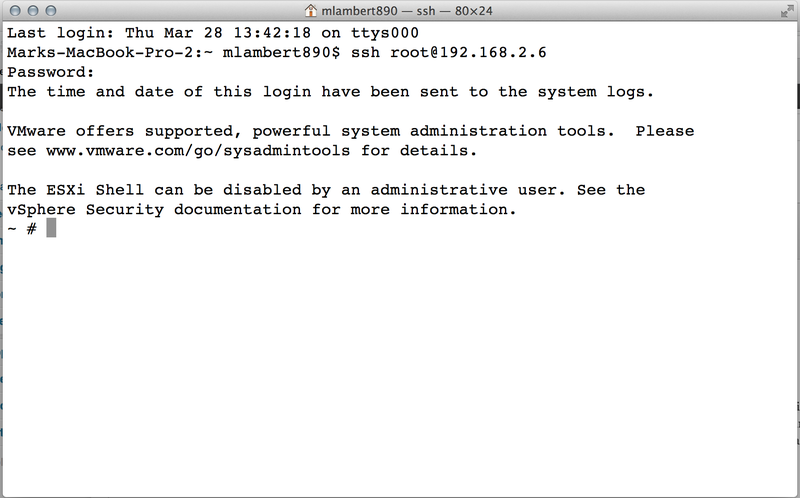 I attempted to use the “default database password” that is floating around on the web, but access was denied. 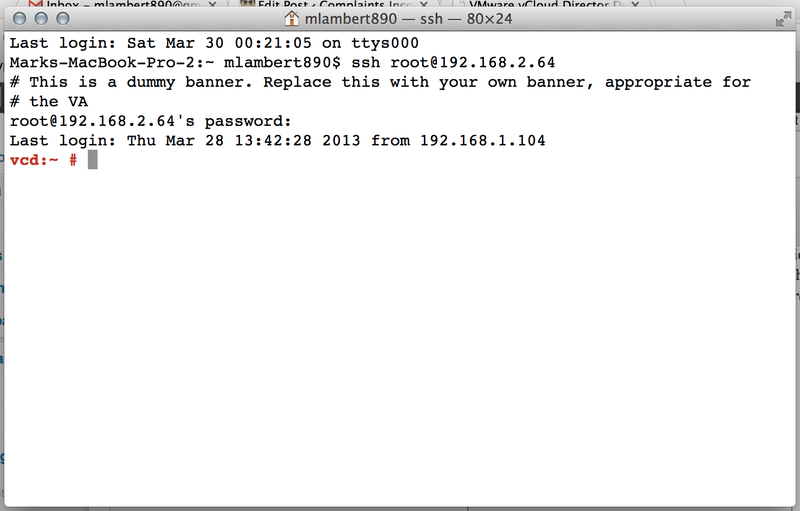 I suspect that the password is autogenerated on initial config and cannot be extracted. The database can be reconfigured using the configure utility discussed above, but unfortunately running through that process requires the SSL passwords which I was also unable to ascertain. The lesson here is do not change the IP addresses of the OVA when using the local DB. I had initially installed with DHCP, so what I ended up doing is carving those out as a reservation so they will stay static. 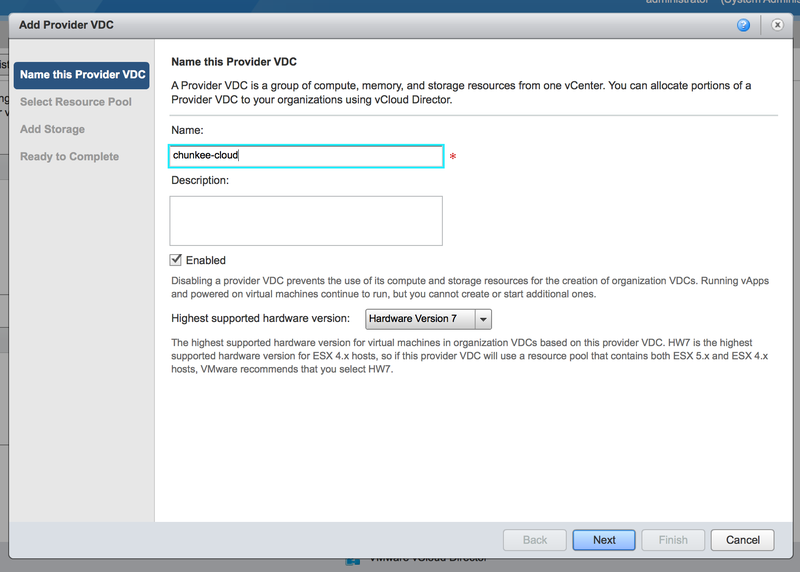 With our resources now online and available, we can complete the Provider vDC configuration and move forward with the creation of our first Organizational vDC. This entry has gotten long enough, though, so this is a good break point. We will continue next entry with the wrap up of our vCD setup. Thanks for reading!